Nerve reflexology works on reflex points for the nervous system on the bones of the feet and is particularly effective in treating conditions that are caused, or influenced by, the nervous system. 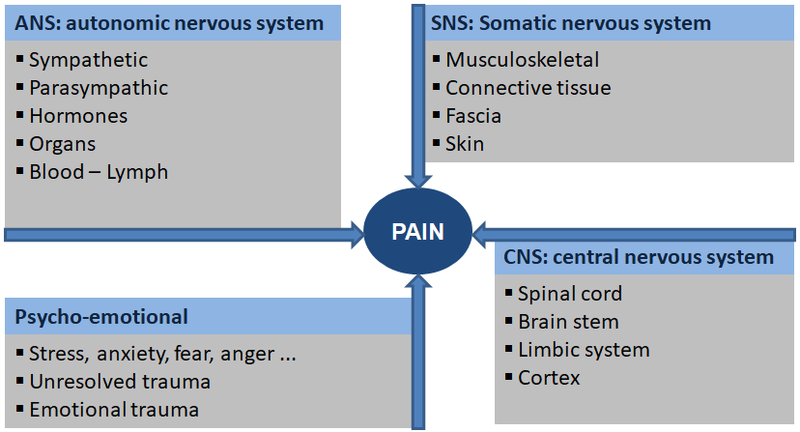 It was developed by the very experienced Belgian physiotherapist Nico Pauly for those patients whose pain symptoms did not respond completely to physiotherapy. Nerve Reflexology can provide help in acute and chronic pain states including: migraine and other headaches, lower back pain, neck pain, fibromyalgia, ME, chronic fatigue, neuralgia plus other complaints in the musculoskeletal system, etc. It is believed to work deep into the nervous system to restore co-ordination within the nervous system for the relief from acute and chronic pain. Nerve Reflexology does not cure! It helps restore or recover dysfunctions in the movement, organ and nervous system. Dysfunction is here to be understood as an ‘impairment’. This is in contrast to ‘disease’ involving serious changes in tissues and whose treatment is the exclusive domain of medical doctors. Diseases can also entail a lot of dysfunctions. In collaboration with your medical doctor Nerve Reflexology could offer extra help. To obtain the best results, treatments are best received weekly or fortnightly, depending on the severity of the symptoms. I see the best results in my client over a course of 6 weekly treatments. Each treatment lasts one hour. How is Nerve Reflexology different from classical Reflexology? The pressure is given with the side of the top of the thumb to small parts on the bones of the foot.